Jimmy Adamson is a session guitarist & songwriter for studio Pop-A-Top. He has been a member of The Erin Bardwell Collective as well as The More Specials. 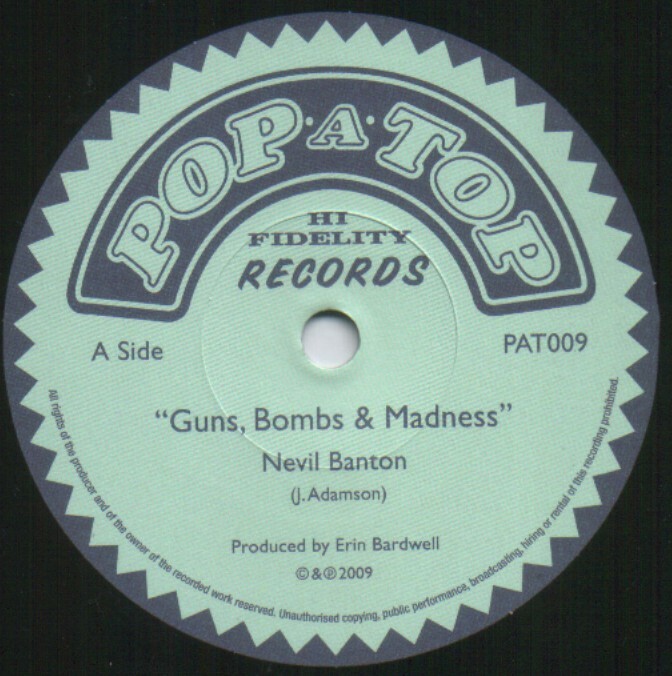 The latest Pop-A-Top single is a Jimmy Adamson composition (Guns, Bombs & Madness sung by Nevil Banton) and is currently available on 7" vinyl and digital download from i-Tunes through 208 Records with a Bardwell/Adamson collaboration on the B side (The Price Of Rice by Herbie & The Collective), which is in fact a saxophone version on the same 'Guns...' rhythm. The Price Of Rice was incidentally played on Radio 2 Steve Lamacq on 18th March 2009. He seems to like our B sides! Jimmy has one solo track (No Water) featured on the Earth Scorchers compilation. This song is currently the opener of The Erin Bardwell Collective live set. Originally from Paisley, Scotland, Jimmy Adamson has played in many bands across the UK. He has been known to occasionally make special live guest appearances with The Pop-A-Top Allstars. Jimmy played in the More Specials from 1999 - 2005.